Five Finger Death Punch News: Five Finger Death Punch filmed official video for new song "Sham Pain"
Five Finger Death Punch filmed official video for new song "Sham Pain"
Five Finger Death Punch apparently spent the last days filming the official music video for the song "Sham Pain". 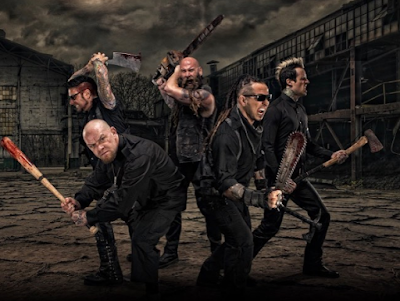 A couple of photos from the video shoot were shared on Instagram by Jason Hook, who wrote in an accompanying caption that making videos with his band "can be somewhat unpredictable." "Sham Pain" is taken from band's seventh album, "And Justice For None", which will be released on May 18.